I want to go on a Balloon ride… in Sonoma, Sonoma, Sonoma! 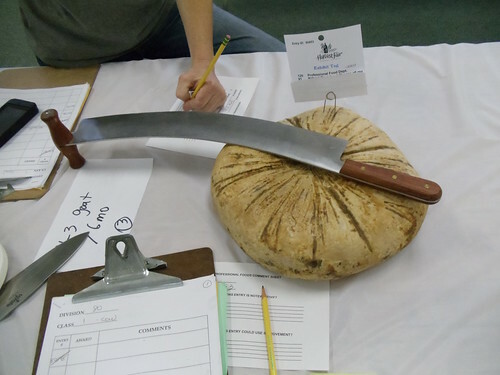 I always forget to write about judging the Sonoma Harvest Fair dairy competition because the awards are secret for a while afterwards. In fact, I’m never exactly sure when they are made public because it’s some time after the judging but before the awards dinner. But I guess it doesn’t really matter. I’m still here. You’re still here. The cheeses are still here. Let’s talk about it now! The Sonoma Harvest Fair is mostly a wine competition but Sheana Davis* helped bring I dairy back in 2010. It’s open only to cheese, butter, and yogurt made in Sonoma County and while that certainly limits the amount of entries, Sonoma County’s dairy history is over 150 years old so it shouldn’t be absent from this kind of celebration of local food. 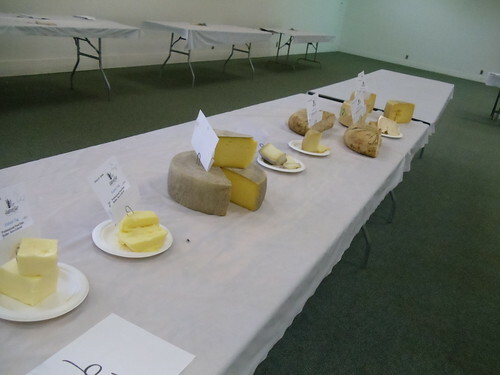 This year the judges were me, Sheana, and Colette Hatch, a cheese consultant also known as “Madame de Fromage”** We use the 4-H method of judging where we taste the cheese, give it a preliminary grade (gold, silver, bronze, or no award), have a little discussion, then give a final grade. If everyone votes for gold then it is awarded a “double gold” and entered into the Best of Show category. 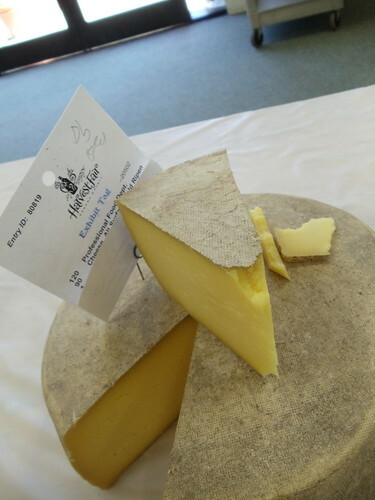 The winner was the Valley Ford Cheese Company’s 14 Month Montasio-style Estero Gold. Valley Ford just recently started making cheese but they are a fifth generation dairy operation with a closed heard of 400 Jersey cows humanely raised on 640 acres of land. I had never tried any of Karen Moreda’s cheeses aged this long and I was a little shocked at the strength and depth of flavor. This cheese was assertively fruity, sharp, earthy, big and bitey. Truly an awesome cheese. Her Fontina-style Highway One (below) also got a double gold. 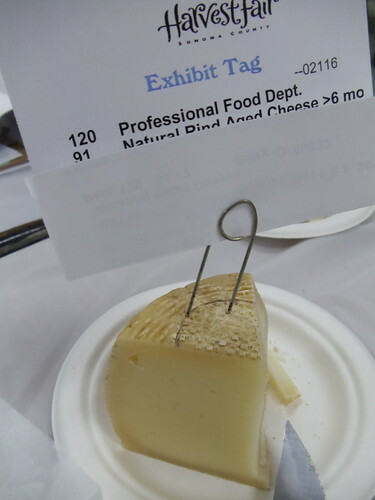 My vote for Best of Show (though it was a really difficult decision because they were such different style of cheese) was the Bleating Heart Dairy “Fat Bottom Girl”. Named for the accidental way that her first batch aged, this is simply a great, local version of a classic Basque sheep cheese: milky sweet, caramel-y, grassy, and just incredibly satisfying. Seana Doughty also won double gold for her “Shepherdista”. She just makes great sheep cheese. 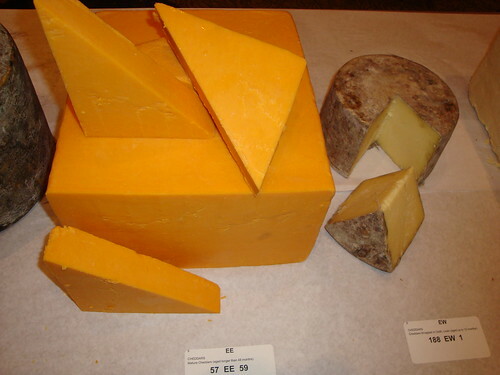 Another notable double gold winner was the butter from McClelland Dairy. I love their butter. Got some in the fridge right now in fact. The other double golders were the Achadinha Capricious, the Two Rock Valley Cheese, and the Spring Hill butter. Yum. **She really is French so this is not pretentious. ****The title of this entry is taken from a great song by Feelings on a Grid called “In Sonoma”. It has nothing to do with the rest of the entry. Well, a lot of the cheese world is headed to Montreal right now for the annual American Cheese Society Conference. Sadly, I just couldn’t afford to go this year. It almost seemed like a relief at the time I decided to not attend; I’d been running myself ragged doing cheese things the last couple of years. But now that its here I am really sad to miss it. The judging to me is the purest part of the conference. * Just two days spent with technical and aesthetic cheese experts evaluating cheese. While one can question whether the award winners will be that spectacular in a retailer’s cooler or on a cheese plate, the integrity of the process is the best part of the cheese world. It is one of the things that makes me proud of what I do for a living. So have fun in Montreal** everyone. I’ll see you next year in Raleigh. * I wrote about judging in 2010 and in 2007 if you want a behind the scenes look. **If you are in the Bay Area you may want to come to the ACS Awards party that Sheana and I are putting on. Comment for info if you don’t have a facebook. I am not a good traveler. It kind of hurts me to admit it, but it’s true. If it’s not anxiety, it’s ailments. I knew it was risky getting on the plane to Seattle with a head full of allergy congestion, but wow… I was in serious pain by the time I landed even though it was only a 1.5 hour flight. My ears weren’t just stuffed — I had about 25% of normal hearing in my left ear, 50% in the right – but they were painful. Like someone was jabbing them with icepicks. I felt like a cheesemonger Trotsky… but then I guess I do sometimes. When I got to the Seattle Sheraton – home of the 2010 American Cheese Society Conference – I ignored my cheesy friends, loading up on antihistamines, ordered terrible, overpriced room service, and went to bed. I had 1400-some cheeses to judge the next day. Of course, as most of you know by now, I didn’t have to judge that many cheeses myself. I was part of 15 teams of two dairy professionals – one aesthetic judge (me and other retailers, distributors, and/or writers) and one technical judge (usually a dairy scientist). We each taste and judge a few subcategories — about 50-60 cheeses a day. Then, we taste all the winners of each subcategory to decide on a winner for Best of Show. This year, that was about 100 more cheeses. 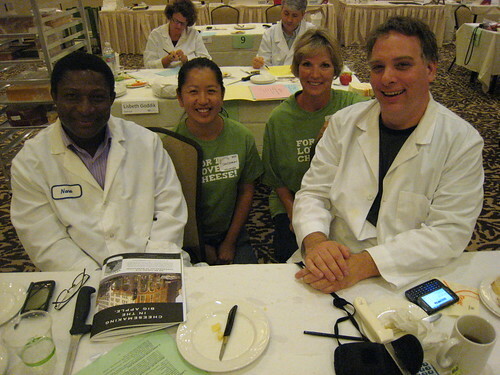 Dr. Nana Farkye (of Cal Poly) and me were a judging team. Chutarat from the Cheese Board Collective and Bonnie from a cold storage company (that I didn’t catch the name of) were the folks who kept the cheeses coming. 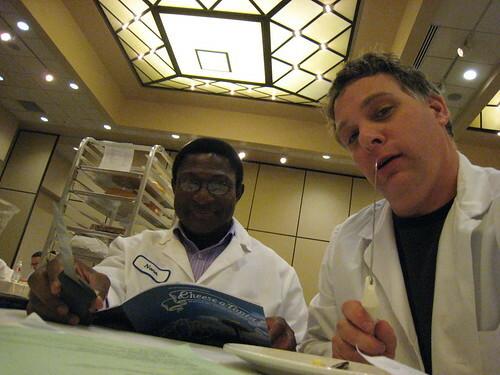 Dr. Farkye and I holding some tools of the trade, not threatening anyone with our big knives. I actually don’t find it that hard, at least until the Best of Show voting. 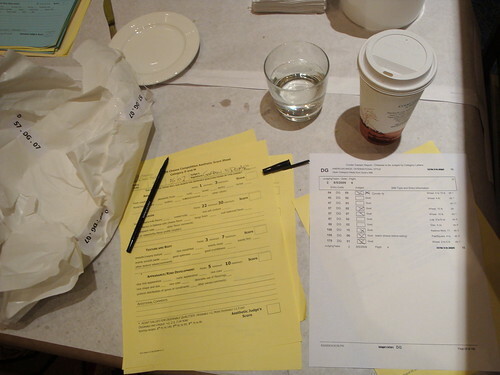 We fill out forms and comments for every cheese we taste, then have to get a new cheese and core or cut into it before we start on the next one, so it’s about 5 minutes between every cheese, even if you are working fast. Plus there are plenty of plain crackers, fruit and tea to cleanse one’s palette with. There are also spit buckets. It should be noted that spit buckets for cheese are even more gross than spit buckets for wine. Just saying. 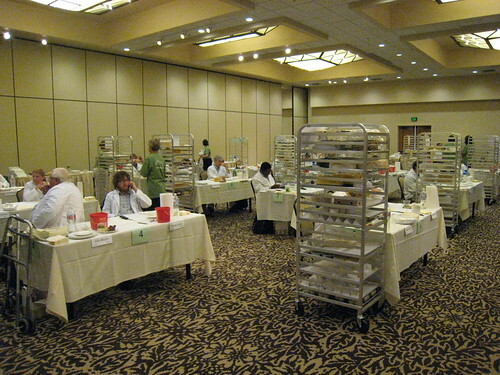 What is actually very hard is the 100-cheeses to taste in an hour whirlwind of the final round, when all the Best of Category cheeses are set up for the final vote. I will admit, that after two days of tasting I had to really spit out a lot of cheese, and concentrate on remembering to cleanse my palette often, and not just eat all the awesome cheese. My categories this year: Cultured products/flavor added (39 entries!! ), Soft-ripened sheep and mixed milk, Marinated/flavor added, Hispanic and Portuguese fresh cheese, American Originals/Brick Muenster, Soft-ripened/flavor added (all milks), American made/European style/Emmenthal, and Mature Cheddar/over 48 months. I will write about the winners and my favorites later in the week, but it is a stunning thing to be surrounded by so many good cheeses. While not every one of the 1400-some cheeses is amazing, the sheer volume of cheeses is something to behold. I also think that the amount of very good cheeses is up every year, even when individual categories may go up and down. The judging, for me, is the purest part of the whole conference. No hype, no relationships, no looking for non-tangible selling points. Just us and the anonymous cheese. The judging room. I didn’t see that Steve Jones was on his cell until I test posted this entry. I’m sure he was NOT breaking confidentiality.